Thanks to Rosemary and her mum for once again holding a stall at this annual indoor event which is growing ever more popular with stall holders and visitors. There are other charity and animal welfare stalls at this event so really good for raising awareness as well as funds. Rosemary has items donated and she also collects items herself for her very popular tombola on the stall. 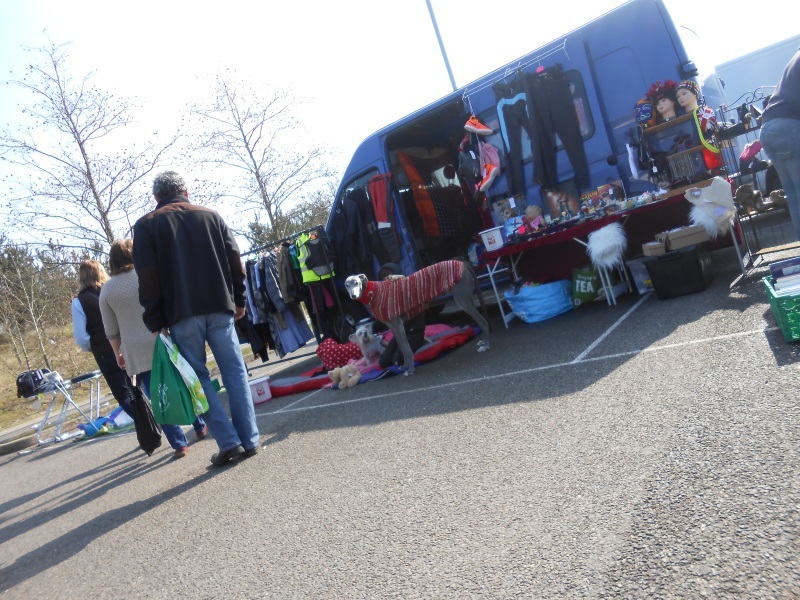 Another great day at the very popular car boot sale which runs fro April until end of October. We meet lots of local people as well as holiday makers and other visitors to the area. Lots of people like to meet the hound who accompany us and many people have their own various hounds with them, so lots of socialising going on. Another busy day for us at the charity stall on Haymarket, Norwich and lovely warm weather all day which makes all the difference for the success of the stall. We are lucky enough to have many wonderful items to sell which are kindly donated to us, as well as our ever growing unique, popular merchandise. 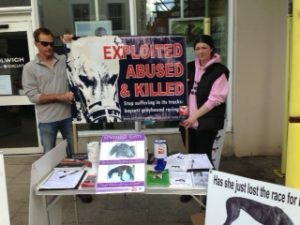 Lisa and supporters from AfG in Surrey held a successful awareness day and street collection in the town centre in conjunction with this years Remember Rusty Weekend held by AfG every year over the nearest weekend to May 2nd to remember the plight of dear innocent young black greyhound, Rusty who was so brutally abused and tortured when no longer any use for greyhound racing. 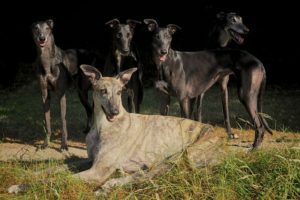 Rusty was one of many thousands of greyhounds who are and will be used, abused and killed by the industry and all these, along with Rusty will be remembered.